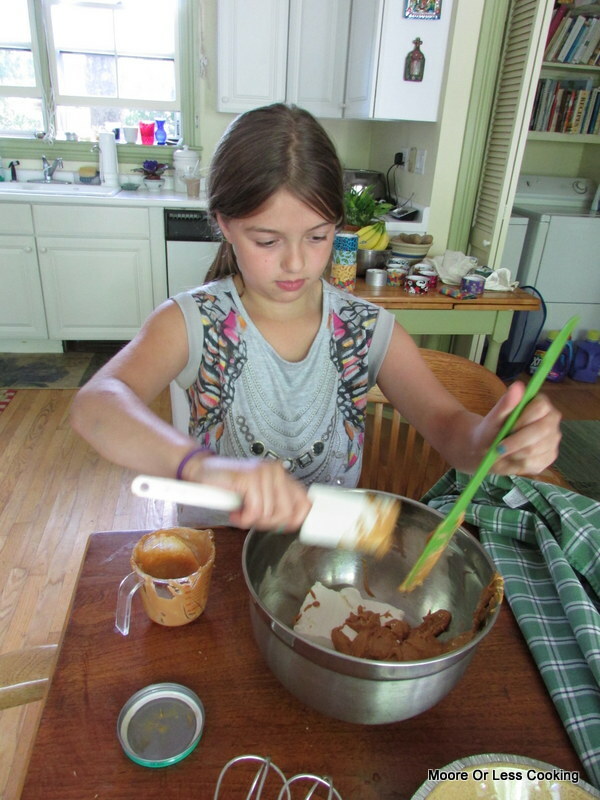 I promised my God daughter that we would do some baking this summer. I asked her what she was thinking of making and she said a peanut butter chocolate. That is such a coincidence, I have been wanting to make that kind of pie too! 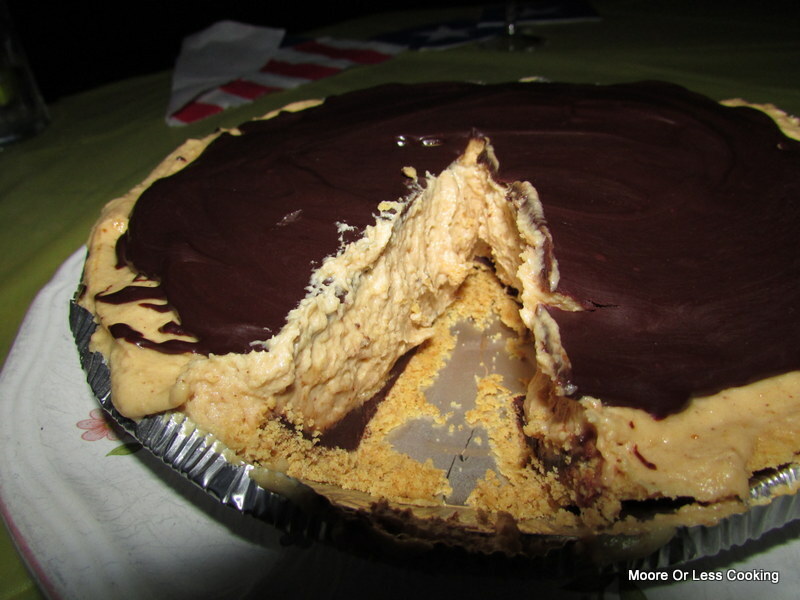 I remember that my very talented blogger friend, Joan, from Chocolate, Chocolate and more made a Peanut Butter Pie and went off to search for her recipe. We had all of the ingredients except a Graham Cracker Crust and Whipped Topping, so off to the market we went. But first we had to stop and get a little lunch. We decided to visit my daughter at work, lucky us she joined us at our table and took a break with her lunch. My God Daughter also brought over her inventory to make me a DUCK TAPE wallet! My choices were food related….can you believe that? Pickles, Mac and Cheese and Leopard Print. I will cherish it forever. 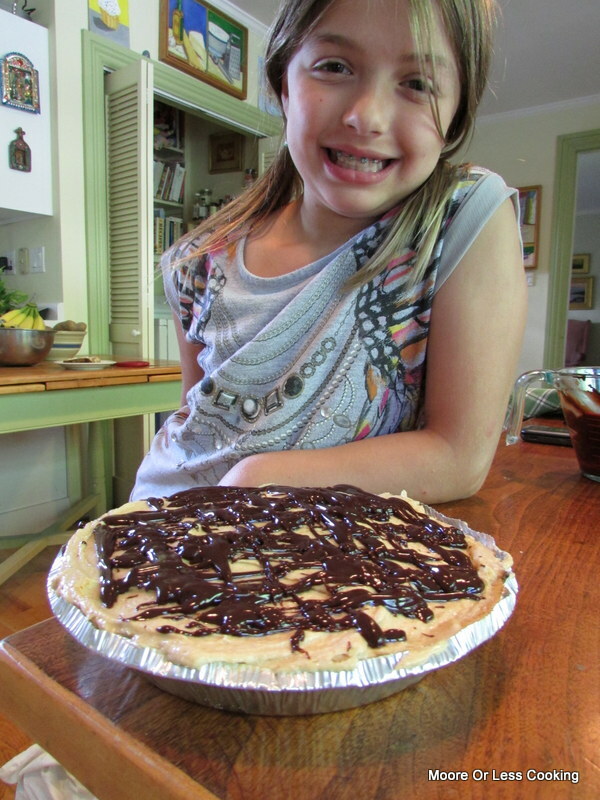 This is a super easy pie that you can put together before a special party, you just need 2 hours refrigeration time, since it was so warm out, I would freeze it instead of refrigerating it for 2 hours next time. It tastes like an amazing creamy Peanut Butter Cup! When you have been baking all day and need to wait for your Peanut Butter and Chocolate pie to refrigerate~ you go for a swim at the lake! We worked up an appetite with our big swim and got a call from my BFF inviting us for dinner, she created a a BIG POT of Sausage, Kale, Potato and Bean Soup! With a crusty loaf of bread and our Peanut Butter and Chocolate Pie in hand, off we went! I couldn’t wait to slice into this work of art while the kids played baseball in the backyard and the men played Bocce Ball. With Stevie Wonder playing in the background…it was the perfect summer day…watching the Super Moon light up over us, I am thankful for being a Spiritual Bodyguard, when it involves any kind of baking and am so lucky to have such incredible friends who enjoy food as much as I do. FOR FILLING: In a bowl, set mixer on medium, cream together peanut butter and cream cheese until smooth and blended. Next, add in Cool Whip and mix until fluffy on medium. Scrape down the sides of bowl. Set aside. For Chocolate: Use a 2 cup Microwave safe measuring cup or bowl, microwave chocolate chips and cream for 1 minute on HIGH. Stir chips and cream until chocolate is smooth. add more cream to get a thinner consistency. 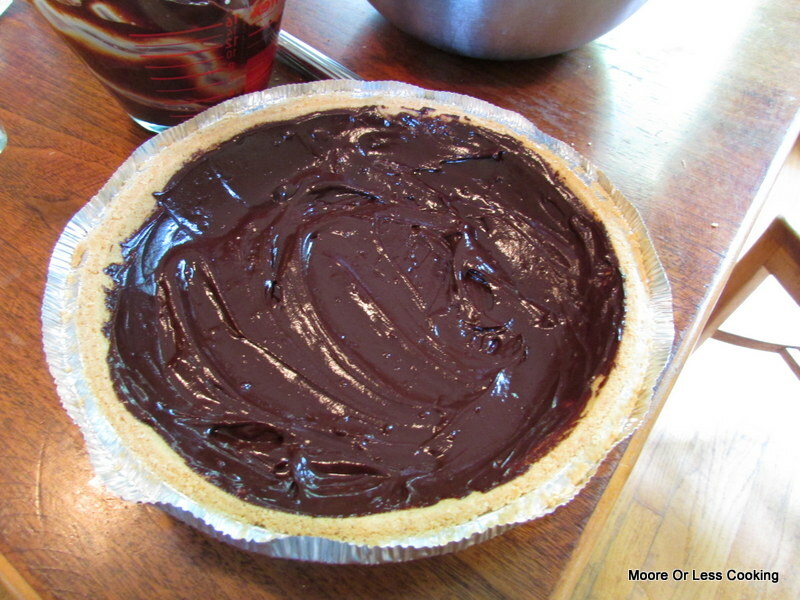 Spread all but 3 or 4 TBSP of chocolate over the crust. Let sit for 5 minutes to set up.Next, add the filling and spread evenly. Drizzle chocolate over peanut butter filling. I had a lot of chocolate left over because my chocolate was very thick, so I covered the pie with it. Refrigerate the pie for at least 2 hours, if making for a summer party, Freeze for 2 hours. Let pie thaw for at least 2 hours before serving. What a fun day and a great way to create a lasting connection with your God Daughter. Not to mention that scrumptious pie that everyone got to enjoy! Happy for you Nettie! 🙂 Pinning! 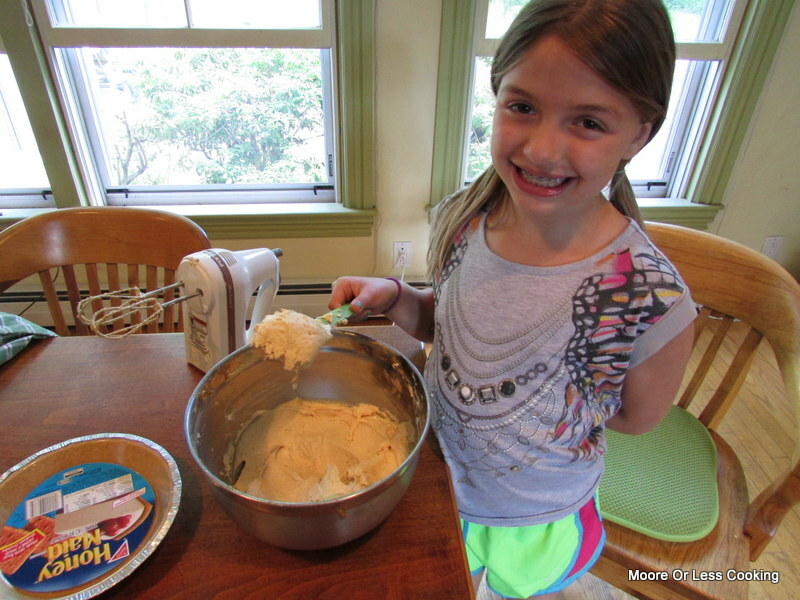 Delicious recipe to make with your God Daughter! Sounds like a wonderful day. No bake desserts are great for warm summer days! Thank you! 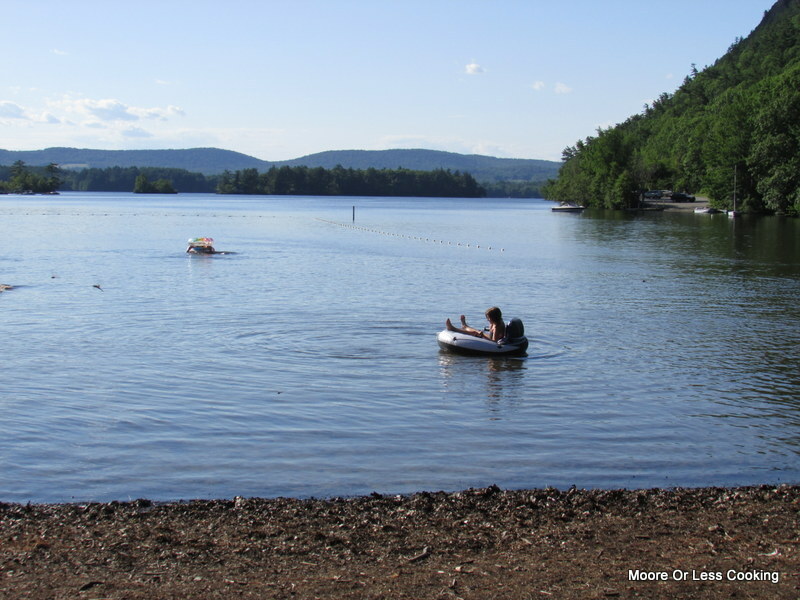 We had a fabulous day and I am so loving no bake desserts in this warm summer weather! G’day and how cute! 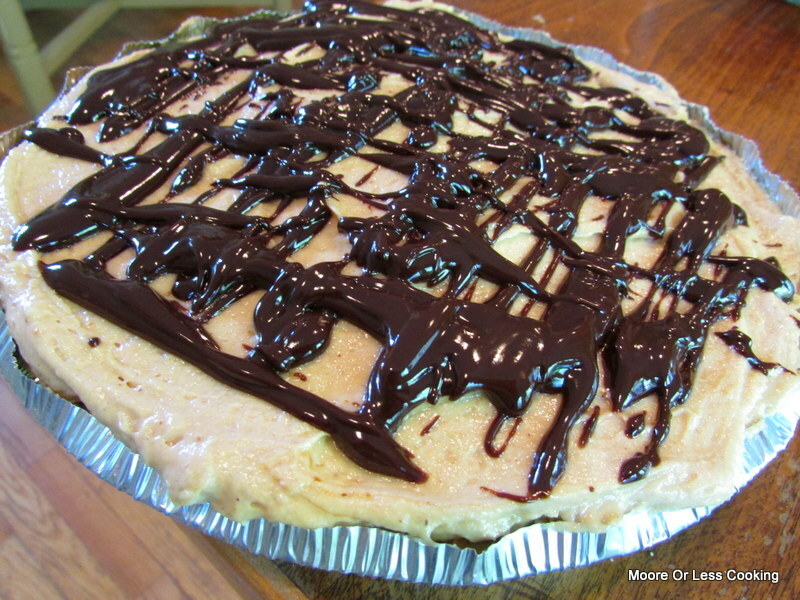 I never had a PJ and chocolate pie and might have to put this on my list to do!